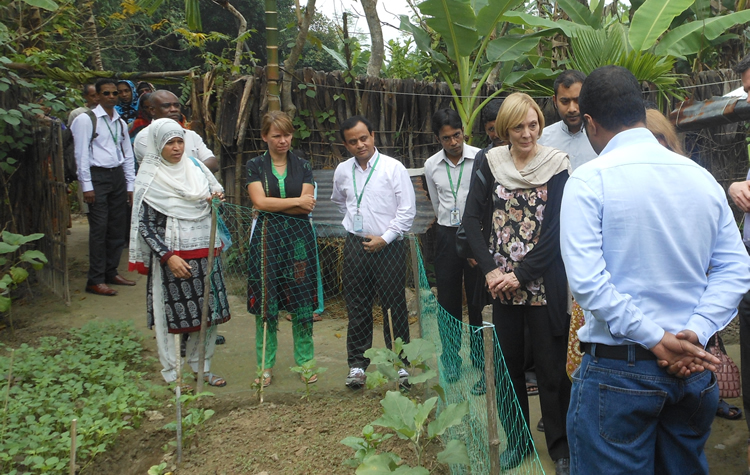 The Assistant Administrator for USAID/Asia, Ms. Anne Aarnes, and the USAID/Bangladesh Mission Director, Ms. Janina Jaruzelski, visited SPRING on Tuesday, October 28, as part of a short tour that this VIP group is making in Khulna Division this week. 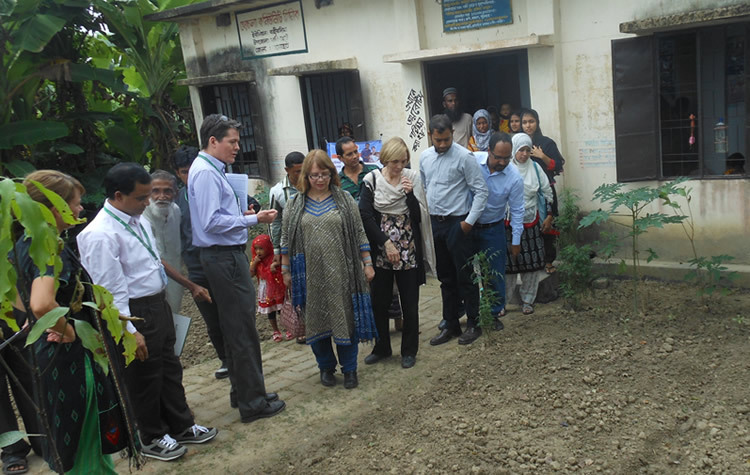 The USAID delegation visited Farmer Nutrition Schools in Bahirdia Union of Fakirhat Upazila in Bagerhat to better understand the innovative work that is being done in these communities to combat undernutrition through evidence-based actions and simple innovations. Nearly 50 percent of children under five and three out of every 10 women of childbearing age suffer from undernutrition in Bangladesh. 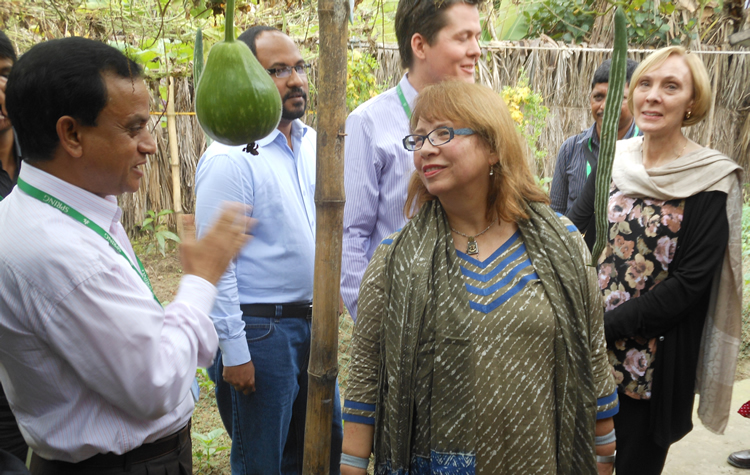 SPRING works with the poorest communities in 40 upazilas across Khulna and Barisal and leads these Farmer Nutrition Schools as a way to provide rural women with important information on nutrition and hygiene to improve the health of their families. The Farmer Nutrition Schools are a 10-month program in which women participate every two weeks. In addition to important messages on health, nutrition, and hygiene, women learn about improved horticulture methods for their kitchen gardens, improved methods for poultry rearing, and fish cultivation. SPRING has established more than 5,000 of these schools across its working areas since it began in early 2012. 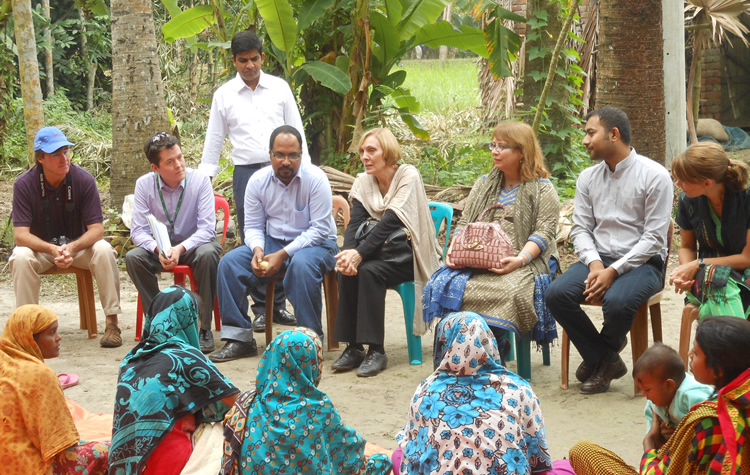 SPRING also provides support to the Government of Bangladesh through the Ministry of Health and Family Welfare and the Ministry of Agriculture with training and supportive supervision to frontline workers in these communities. 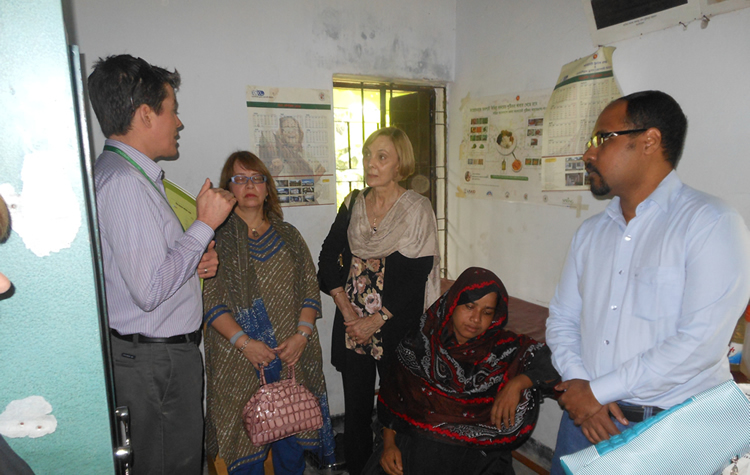 The VIP USAID delegation also had the chance to see the important work that these frontline workers are doing through a visit they made to the Hochla Community Clinic in Bahirdia Union of Fakirhat.